Nature park Vrana Lake is situated immediately next to the town of Pakoštane in the northern part of Dalmatia and is the largest freshwater lake in Croatia and an important habitat for waterfowl. The park is an excellent destination for nature lovers, active holidays, birds and fishing because it offers something for everyone. The Lake is an important habitat of numerous ornithological types of wetland birds, and has a rich fish stocks. It is surrounded by cycling, walking and hiking paths, so the Vrana Lake is great for an active vacation. 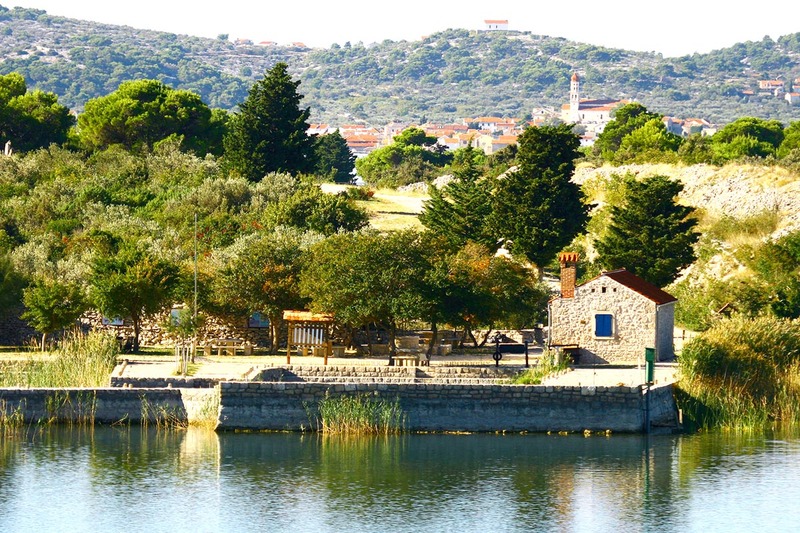 On the hill above the central part of the lake is decorated site-seeing point that offers a beautiful view of the lake, the coast and the surrounding islands, and apart from the info centre for visitors, there is a tavern that offers delicious Dalmatian cuisine. Besides the natural beauty, visitors can enjoy monuments such as Maškovića Han, the westernmost example of Ottoman architecture and the remains of the Benedictine monastery from the 9th century. Pakoštane is a small village in northern Dalmatia, located on a unique location, on a thin part of land between the Adriatic Sea and the Vrana Lake, between the world of fresh water and salt water. It is ideal for a relaxed family holiday. The original Mediterranean way of life is preserved in its small cobbled streets and houses, and in the summer numerous festivals and events are organized there, where the true spirit of Pakoštane can be experienced. The population traditionally engaged in fishing and agriculture, so today, it is not difficult to find a restaurant or tavern where traditional Dalmatian and local dishes are prepared from local ingredients. The numerous beaches in a place that is rimmed by pine forests are ideal for sunbathing and enjoying the crystal clear Adriatic Sea. 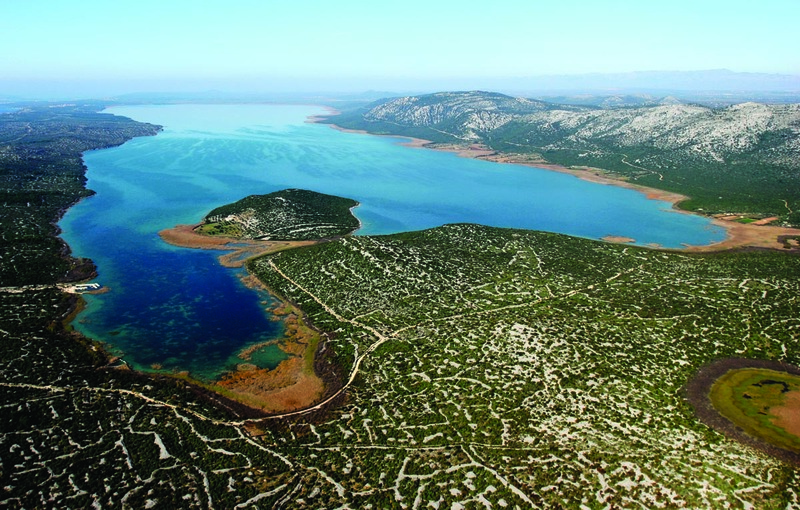 Vrgada is a small island in the waters of the Pakoštane marine waters which in the past served as a point for the monitoring of the Adriatic maritime road in the direction of Zadar. 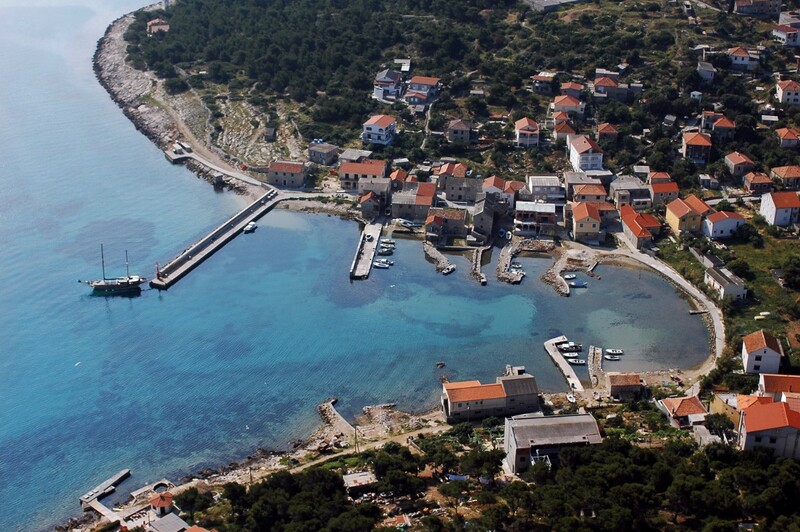 On the island there is a settlement and it is covered in thick pine forest and has sandy and pebbly beaches and has been profiled as a destination for a quiet holiday (there are no cars on the island) and nautical tourism since there are fifteen small islands with Vrgada. Vrgada is also known for its feline population so fans of these hairy creatures will definitely see this as an interesting destination for a boat trip. Maškovića han is located next to the town of Vrana and Vrana Lake and and it stands out with its Oriental architecture from the Dalmatian tradition because it is a westernmost example of Turkey's secular architecture. Construction was started in 1644 by Jusuf Mašković, a high dignitary of the Court in Istanbul and admiral of the Turkish fleet, who was originally from Vrana. Mašković, after his retirement, wanted to settle down in Han but unfortunately it never happened because he died before the end of the construction, so the building was completed in a more modest format than planned. 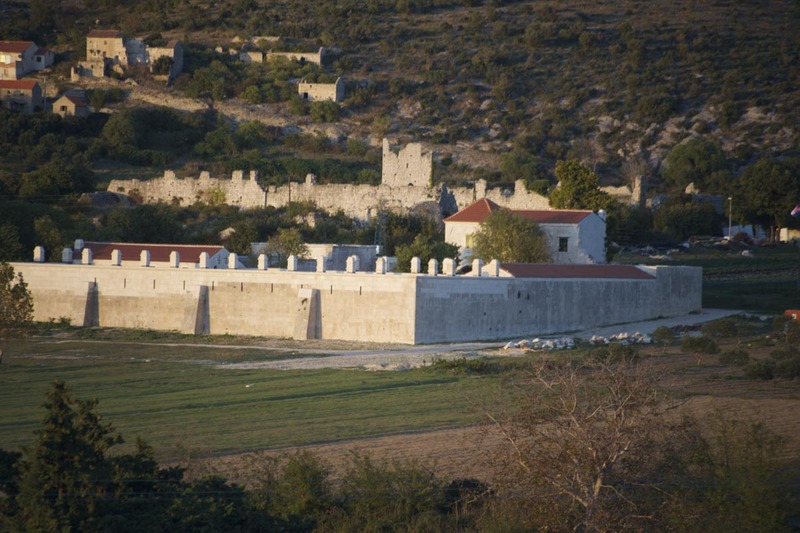 Today Han is the largest Turkish monument building in Croatia and in it is a hotel and restaurant and a small museum and gift shop, and every summer Han hosts the Days of Vrana Knights event. In the place Vrana, on the border with nature park Vrana Lake lies the locality of Gradina. It is a medieval fortress of religious, military and civil purposes, which has the remains of the Gothic church of St. Katarina and the main defensive towers, which were even mentioned in the 11th century. In it over time were the Benedictines, the Templars, the Knights of Ivanovci, the Venetians and finally the Turks, who used it as an important border fortress. It was destroyed in the 17th century, and today, along with the already mentioned church remains, there is still a southern and eastern front facade with one of the front doors. It is located right next to the famous Maškovića Han. Celinka is a looking point located above the village of Draga next to Pakoštane and Vrana Lake and is the right is the location for all lovers of panoramic views since if offers a stunning view of the place Draga and Pakoštane and the surrounding islands, and to the North to Vrana Lake and its surroundings. In ancient times, due to its elevated and thus secure location, it was inhabited, and even today you can see the remains of the prehistoric constructions. 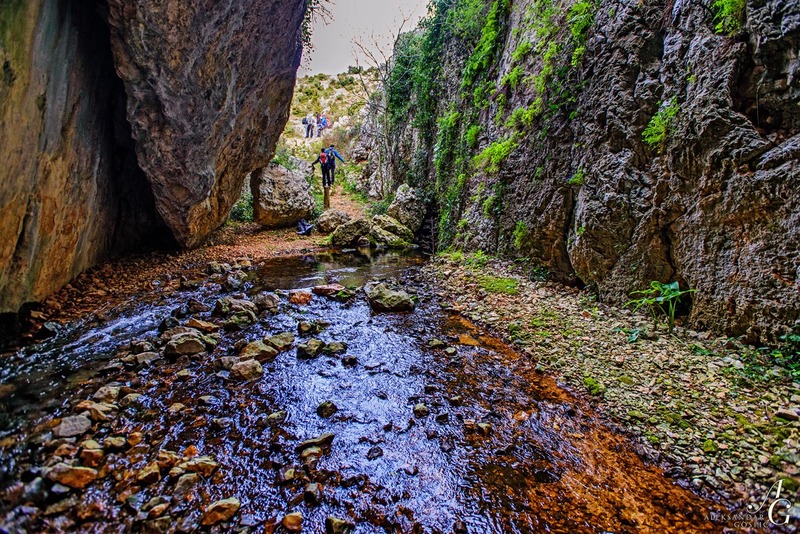 The water that was supplying ancient Zadar came from the 40 kilometre away Vrana Lake, more precisely from the spring Pećina located along the cave, within which there are archaeological remains from that era. It is considered that these are the remains of the Roman “sanctuary of nymphs“. The spring is known to dry up during the summer, but with the first autumn rains it is active again. A well marked hiking trail leads to the water spring which continues to the lookout point, so it is possible to get to Pećina with a relaxed walk. 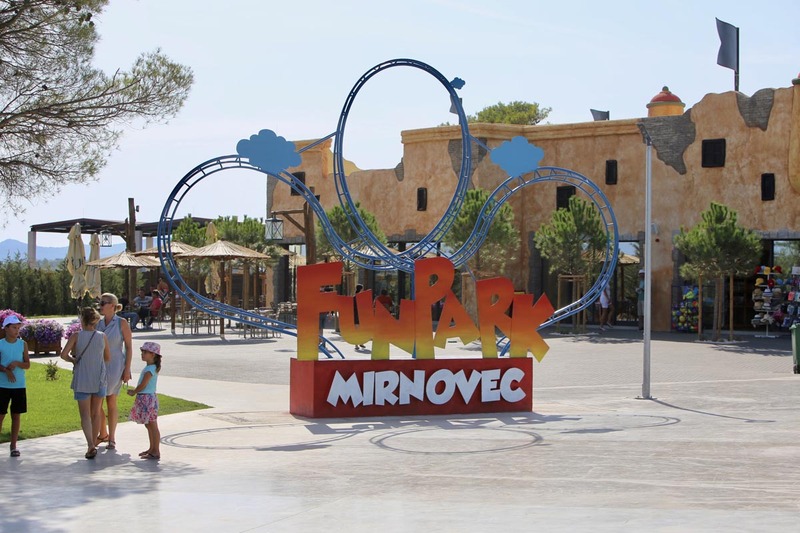 The first Croatian themed amusement park, Fun Park Mirnovec, is situated in northern Dalmatia, between Pakoštane and Biograd. The park is an ideal destination for family outings since the youngest and oldest members of the family will enjoy it equally. It spreads over 45 thousand square meters and consists of three thematic units: The Wild West, the Pirate City, and the Universe, each with different attractions. The park has a souvenir/gift shop and catering facilities (bars and restaurants), so dining in the park is possible. Biograd is a small Croatian town of rich history and cultural traditions, and it is situated in northern Dalmatia, near Zadar, on a small peninsula (centre) and its surroundings (newer part). It is even known from the medieval period when it was a city where Croatian Kings were crowned, and today it is an important holiday destination with a hundred-year tradition in tourism. In addition to the many interesting monuments and beautiful long beaches, Biograd can boast of a wide range of entertainment and events since it holds numerous valuable and interesting events of which the most famous is the Biograd Boat Show, the largest boat fair in Croatia. The fair has an international character and each year it attracts more exhibitors, nautical professionals and enthusiasts, and reinforces the leading position of Biograd as a destination for nautical tourism. 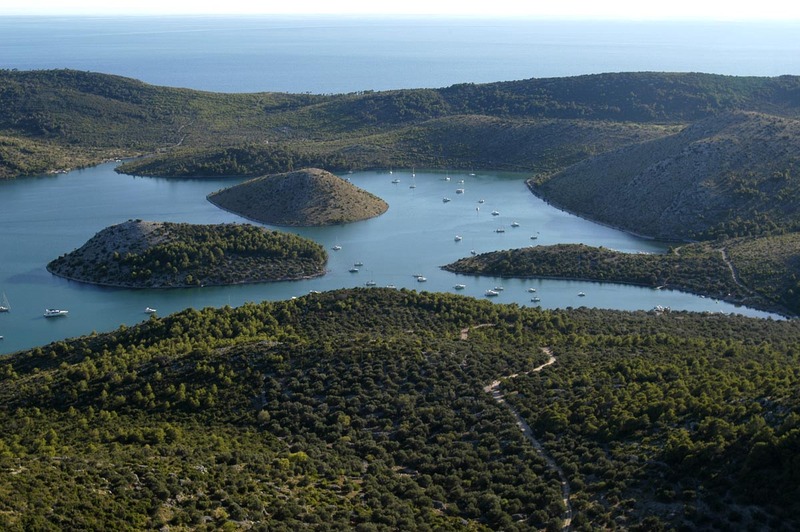 This island National Park is located in the archipelago between Zadar and Šibenik, and consists of about 100 islands, islets and rocks which are like stone necklaces spread out over the blue surface of the Adriatic, making a visit to Kornati an ideal opportunity for a boat trip. The largest island of the archipelago, by which it received its name is Kornat, and on it are the remains of a Byzantine fortress Torete, along which a great basilica was raised on the foundations of the later built and smaller Church of St. Mary. 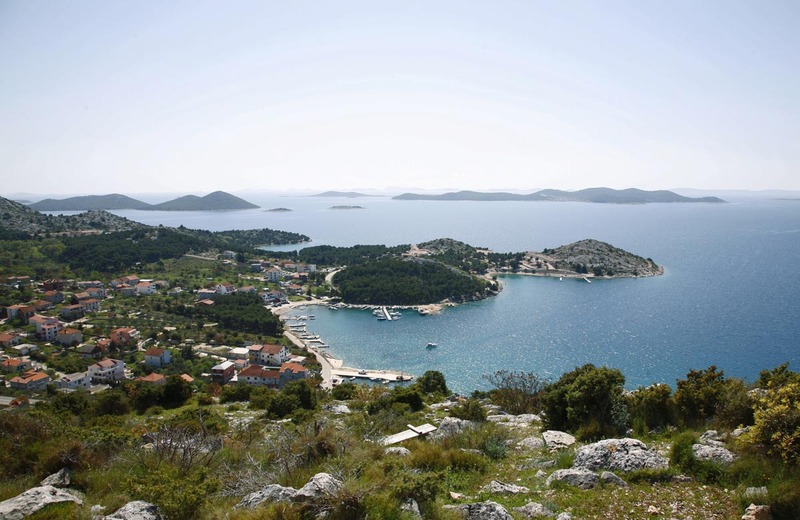 The Kornati Islands are a favourite destination of sailors, so in the park there are a dozen marinas, as well as several excellent restaurants whose offer will satisfy even the most demanding gourmets. 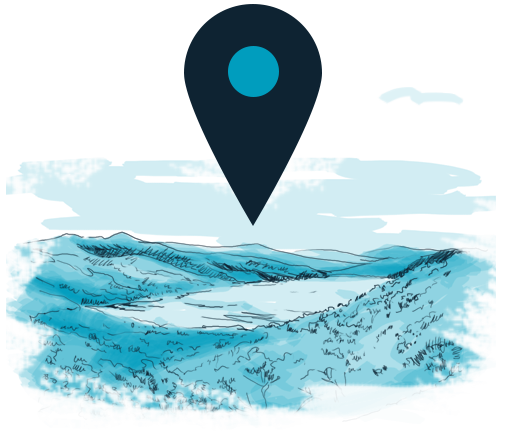 Other than for sailors, the Kornati Islands are popular with divers due to their interesting underwater riches, so diving school tours are organized also for all lovers of the world beneath the sea surface. 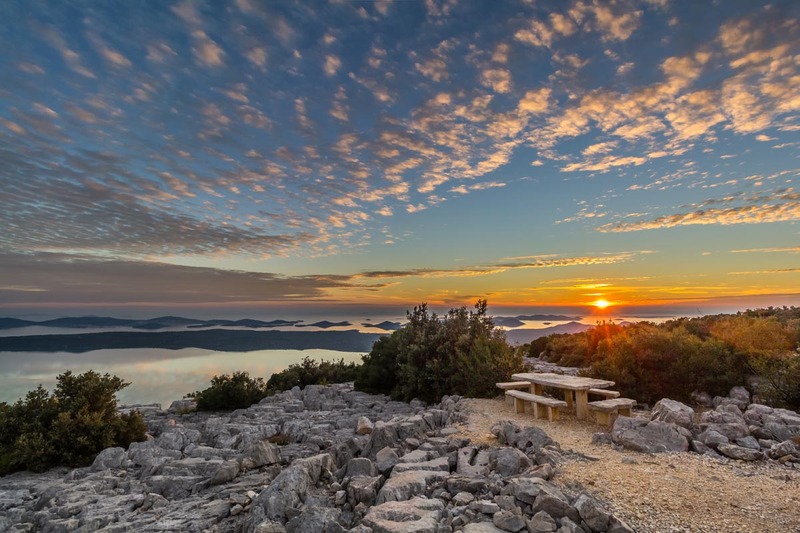 Nature park Telašćica is situated on the south-eastern end of Dugi Otok in the Zadar archipelago and includes the same-named bad, its islands, then the salt lake Mir, and cliffs on the external side of the island. Telašćica Bay is one of the largest natural bays and ports on the Adriatic Sea and is therefore extremely popular among sailors, and it includes six islets and reefs, and even twenty five smaller bays. Cliffs on the external side of the island rise to an impressive 200 meters, and plunge up to 90 meters vertically into the sea. The cliffs nest many birds, including the grey falcon. The salt lake Mir has healing mud and is the habitat of an endemic species of eels. Along the Lake there is also a sanctuary for donkeys who wander within the park, so you can take pictures in the company of these charming residents. The field along Vrana Lake in its southeastern part was wetland and an unhealthy area until 1770 when a narrow channel was dug which connected it to the Adriatic Sea. The finalization of the channel decreased the water level of the lake decreased, drying up the field and converted it into fertile arable surface. In the 20th century, the channel was subsequently expanded and bordered and at the beginning of the lake side a space with a port for boats was created. Stone fishermen's cottage from the 19th century was renovated and transformed to the info centre for visitors of the nature park Vrana Lake. As part of the nature park Vrana Lake there is a looking point called Kamenjak. 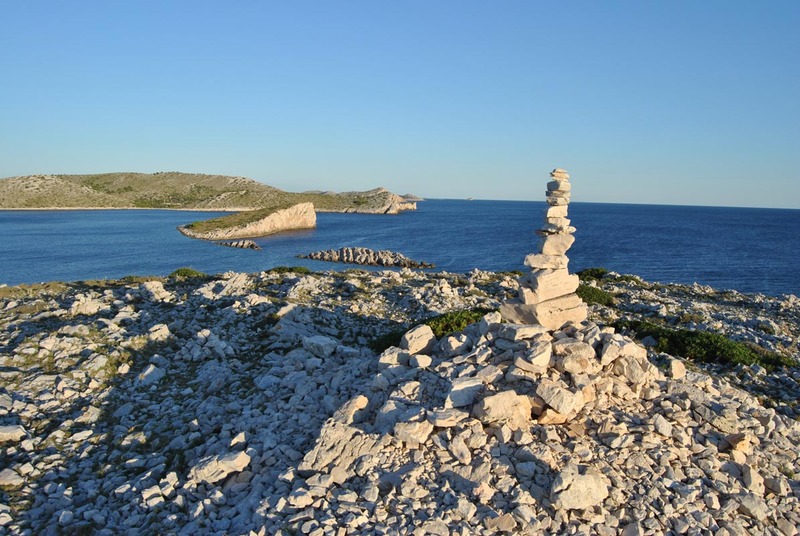 It is situated on the top of the Hill on the north side of the lake and offers a panoramic view of the entire lake, the coast, surrounding villages and Islands, including the islands of Kornati. The looking point has a rest area with a telescope which can be used for a more detailed preview of the area, two objects arranged in the traditional Dalmatian style, one of which is the info centre and gift shop, and the other a tavern with local Dalmatian dishes. On the plateau of the looking point are tales with more detailed information on Vrana Lake and the surrounding area. 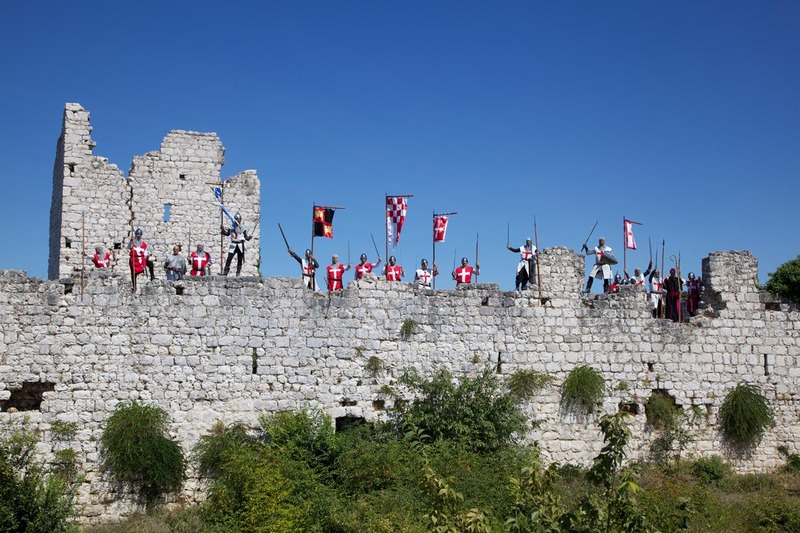 Near Benkovac is the medieval fortress Kličevica which is situated on elevated ground above the small same-named river. 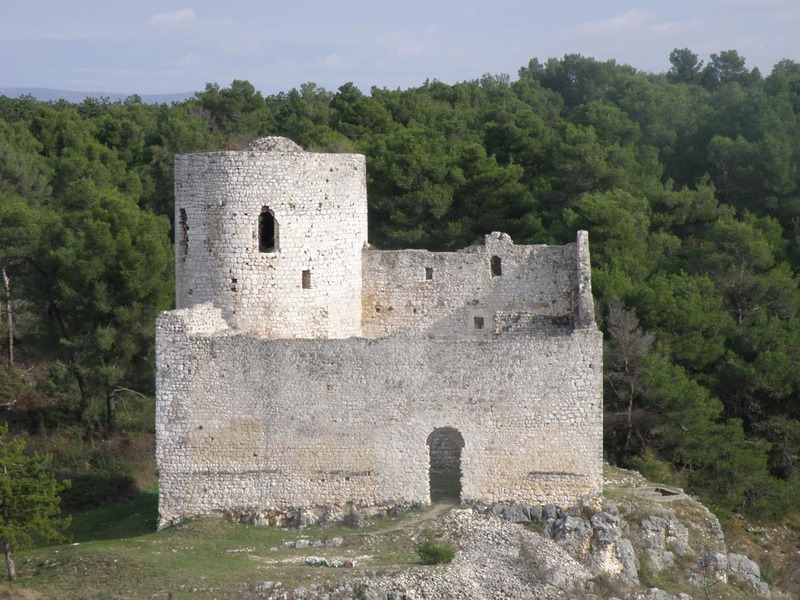 It was raised by Croatian nobles Kurjaković on the border of Croatia and Venetian Dalmatia, and it falls into a defensive border system which consisted of a number of fortresses and castles. The tower was built with several interruptions, but the direct danger from the Turks actualized its function so it was finally completed. The Turks, when arriving to this area, also conquered Kličevic but did not change its appearance so that today we can see her original condition. Except for the tower itself, the remains of the fortification wall were preserved as well. 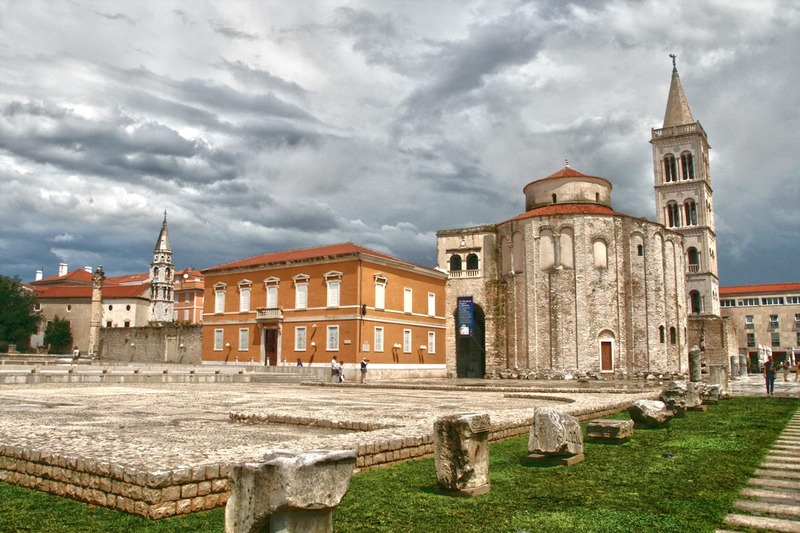 Zadar is the largest city of northern Dalmatia and the administrative and economic centre. Originally developed on a peninsula – the ancient Romans founded it as a colony for retired soldiers – but before the Roman era there was a settlement with an Illyrian population. Over the centuries, it was a cultural and economic centre and therefore has many valuable buildings that tell a story of its development from ancient times to today. Apart from valuable monuments from the past, there is also the modern installation Greeting to the Sun and the unique Sea Organ. Numerous streets and squares are full of cafes and restaurants where you can have a good time, eat and enjoy in a relaxed Mediterranean way of life, and the city's clubs will provide real fun for those who wish to have a good time and enjoy the warm summer nights and good music. 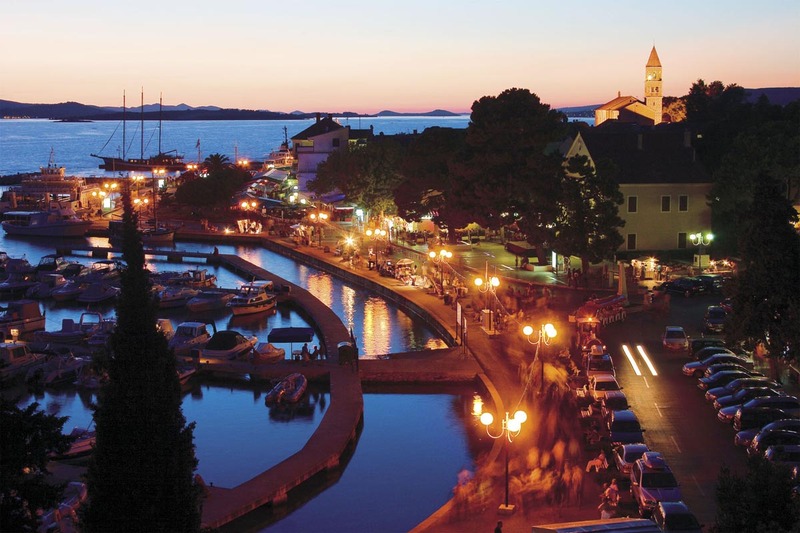 Zadar is also a great place for shopping because it has big shopping centres with famous world brands and small shops where you can buy original Croatian products and souvenirs. Šibenik is located between the towns of Zadar and Split, on the border between the central and northern part of Dalmatia. This city was founded by Croats in the early Middle Ages, and very quickly developed into an important regional centre. Known for its urban fortresses and beautiful Gothic-Renaissance Cathedral of St. James (the work of the famous Juraj Dalmatinac), Šibenik enchants its visitors with stone streets and squares and the traditional architecture of its centre. During the Renaissance period, the city has spawned a number of humanists and artists which resulted in a rich artistic heritage. 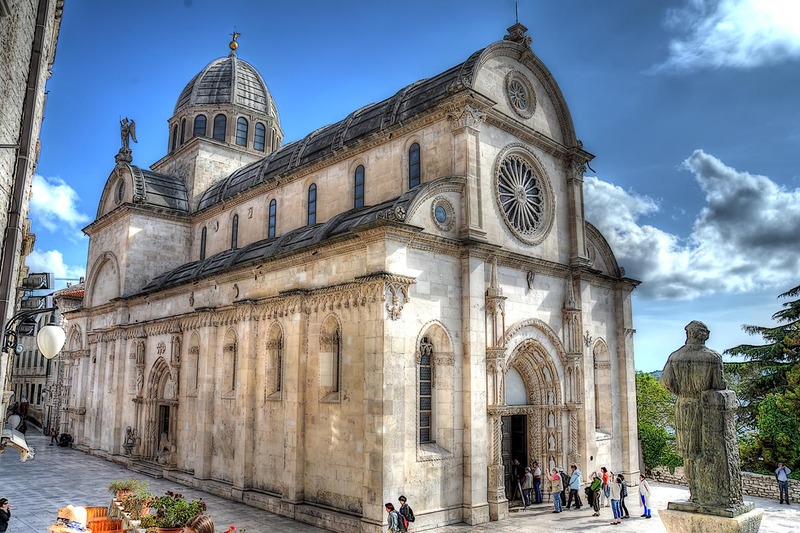 Apart from its harmonious skyline, Šibenik is known for its range of entertainment and cultural events – each year it holds the International Children's Festival, as well as concerts of numerous domestic and international music stars. 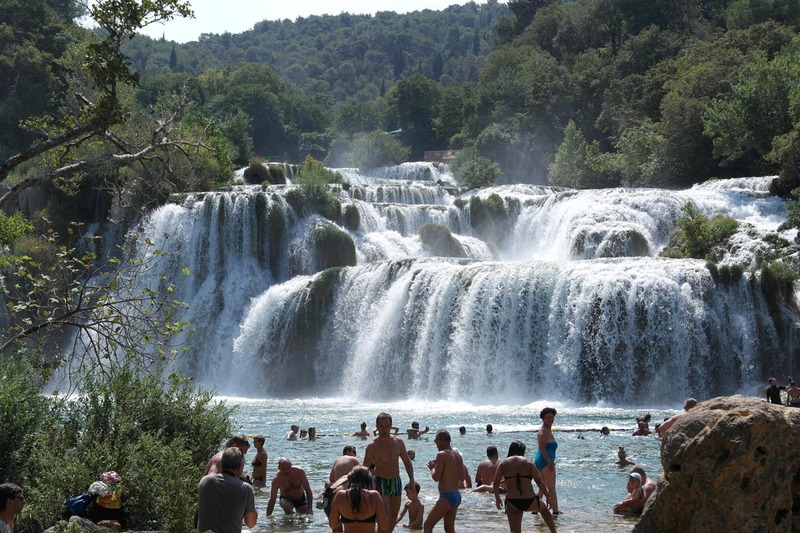 National Park Krka is situated in the Šibenik hinterland and covers almost the entire flow of the same-named river that winds through the karst landscape and makes a contrast with its tame river vegetation in regards to the stone slopes and gorges which surround it. 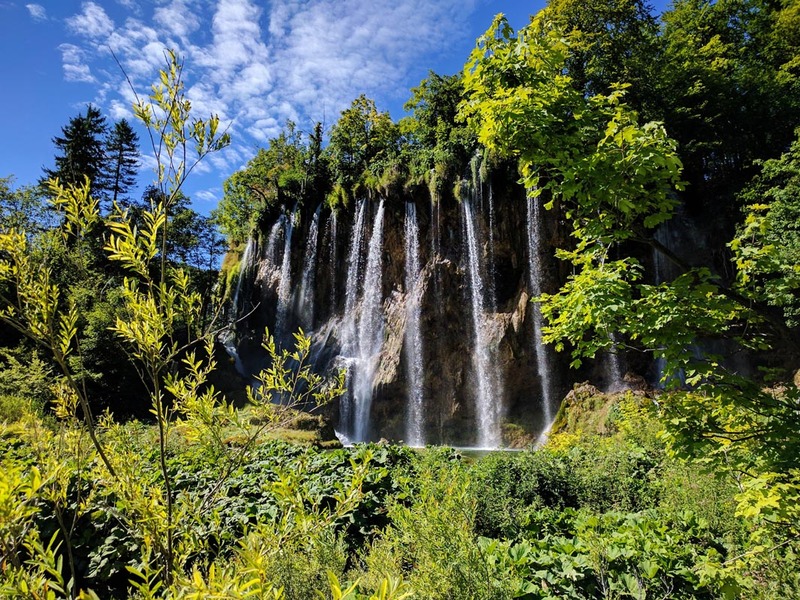 The Park is best known for its many waterfalls, the biggest of which is Skradinski Buk, where it is possible to swim during the summer months. In the area of the Park, in addition to natural beauties, there are also numerous monuments that are definitely worth a visit – the Franciscan monastery of Visovac on the island bearing the same name, and a little more downstream is the Krka Monastery and the remains of the Roman military camp Burnum with very well preserved amphitheatre. Along the whole flow of Krka there are the remains of defensive stone fortresses that in turbulent times of the past served for the surveillance of the river and surrounding area. The Plitvice Lakes are the oldest national park in Croatia, world famous for their beauty. Located in the mountainous part of the region of Croatia, the Lika-Senj County, they are known for their beautiful landscapes and unspoiled nature. Sixteen emerald-green and blue lakes cascade one after another between the forested mountain slopes and are connected with each other by numerous waterfalls. They receive their water from local rivers and streams, and occurred by the forming of travertines which create natural barriers between the Lakes. Within the park is the highest waterfall in Croatia, 78 meters tall called Veliki Slap. In addition to many forest animals, Plitvice Lakes can also be proud of various vegetation where orchids stand out, with over 50 species which grow in the area of the park. Another attraction is the numerous caves, two of which are, Golubnjača and Šupljara, open for visitors.